Welcome to Translate for Justice! Translate for Justice (tfj) is an independent platform of voluntary translators from all corners of the world. Our main objective is to help raise awareness by providing information for the international public on the issues of restriction of basic human rights and freedom. We believe that translators could take on an important role in the global flow of information in times when social media has become a driving force for major political and social transformation. 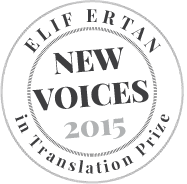 Translate for Justice is the proud recipient of Elif Ertan New Voices in Translation Prize by the Translation and Interpreting Association of Turkey (2015) and the Hermann Kesten Incentive Award by the German PEN Centre (2016).